Our quilting group strives to share knowledge and skills with everyone in the Louisville and Southern Indiana area who has an interest in quilting. Most classes, workshop, demos, and lectures are free for our members. Should a full size cutting mat or 24” ruler be required for a specific class, they will be provided by LNT. IMPORTANT: If Jefferson County Schools are closed or if they close early because of inclement weather on our meeting day, our meeting will be cancelled. Busy Lady Quilt Shop has graciously volunteered to demonstrate the Double Wedding Ring quilt. Kits will be available at the meeting for $26.99 each. No need to bring sewing machine or supplies. Bring your sewing machine and basic supplies and we will make tote bags for the girls at Maryhurst. Remember, sometimes the girls are forced to resort to trash bags in which to carry their belongings. Let’s help them to restore some dignity by making them a tote bag. We will have all the fabric for your tote and will even have some kits cut out for you. We also have the instructions or you may whip up your own unique creation! Come join the fun! 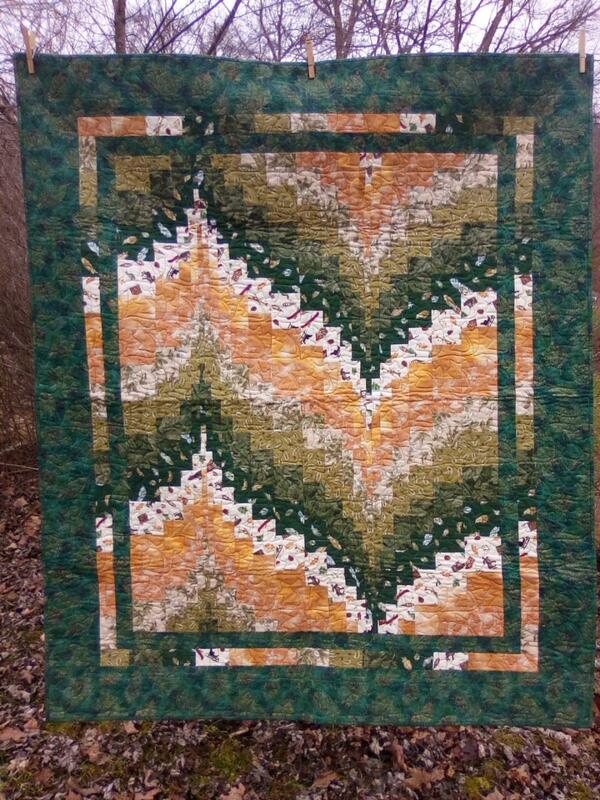 Simple 7 Bargello class with Denise Stewart. Class starts at 9 am. There is a $20 fee for this class for members and $30 for non members Your slot is saved after paying. See Debbie Bates about signing up. If you are planning on coming and not sewing that day, you still need to pay for your spot. Cut each fat quarter into 5 strips 3 1/2 by 22 inches. Skills School II, presented by our talented and knowledgeable members! 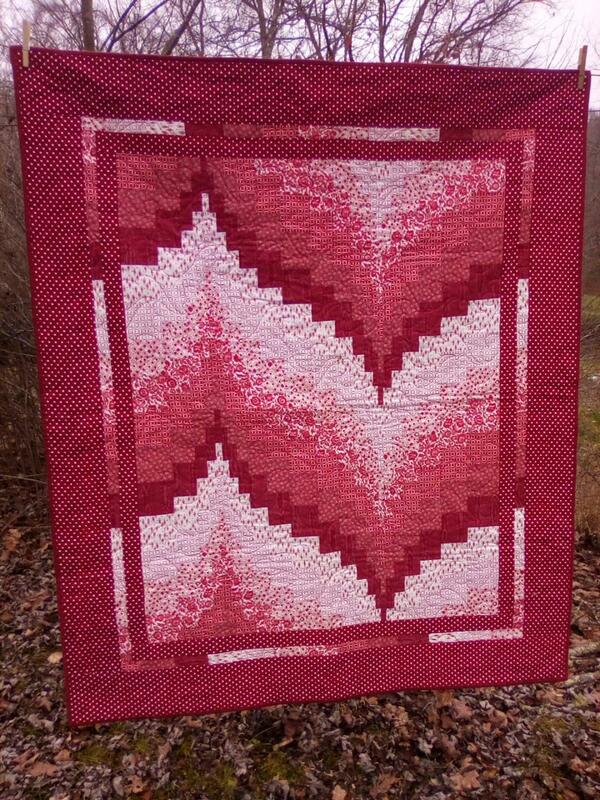 Part II of our popular feature, “Finishing Your Quilt”. We will quilt all three layers as we simultaneously piece the strips on the quilt top. 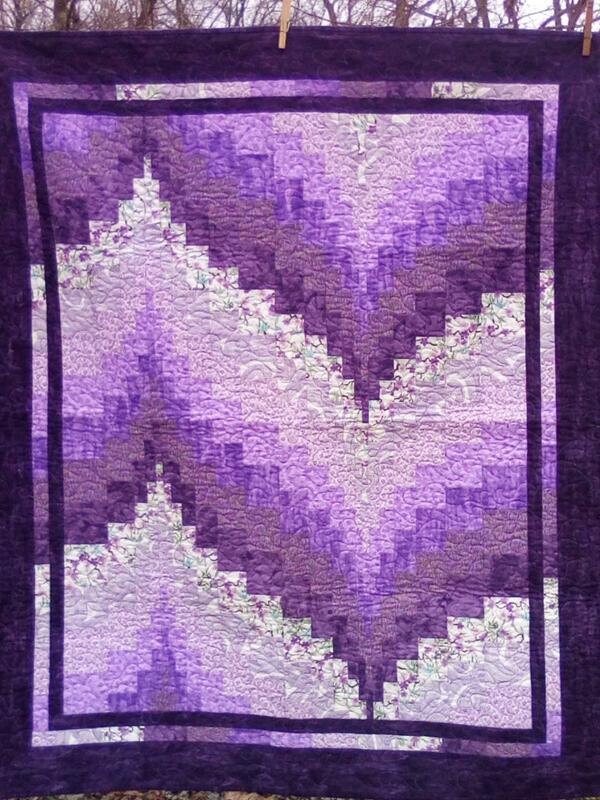 If interested in FMQ (beginners or experienced), let Debbie Hampton know since all fabric and batting will be provided. 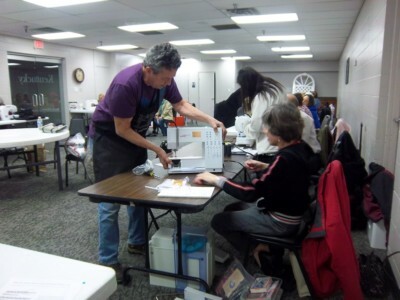 Bring your sewing machine, walking or FMQ foot, basic sewing supplies and a brown bag lunch. Once again, our beloved fellow members Susan Hoferkamp, Textile Department Superintendent, and her colleague Pam Shartzer, will be her to speak to us on the ins and outs of entering our quilts in this year’s Kentucky State Fair. Bring any questions you might have and you are sure to come away with all the information you need. The fair this year runs from August 15 through August 25. Join us as we get together to piece the top for our annual Quilt of Valor, made to honor a local serving military member or veteran at presentation later in the year. 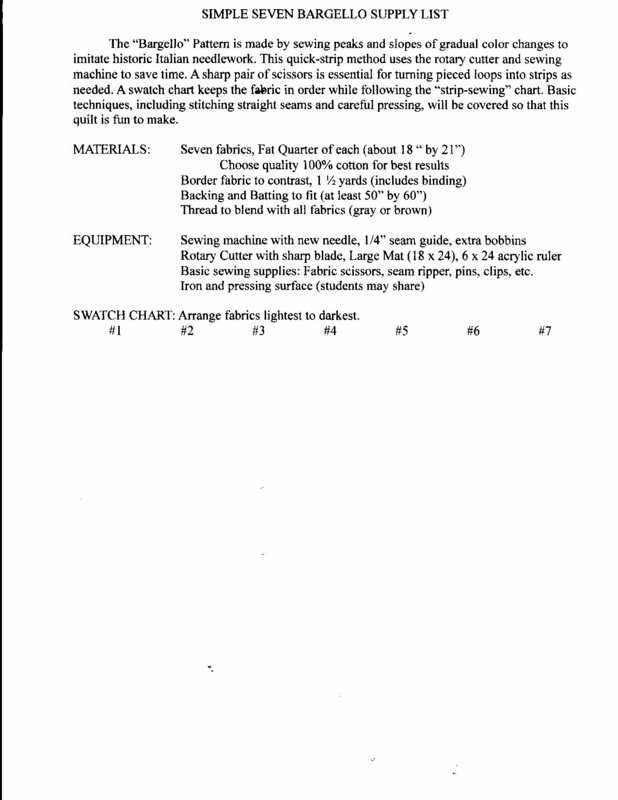 Pattern, instruction, and material provided. Please bring your basic sewing supplies (listed below) and a medium blending thread (quilt will be red, white, and blue), and your brown bag lunch.